Only the stomp pedals are available for Mac. The amp sims are only available for PC. 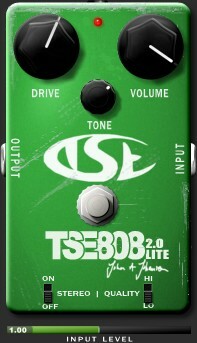 The main developer and founder of TSE Audio is OnQel (John A. Johansen). Recently arrived in the amp sim and stomp box simulation developmment business, he's amazingly skillful. He makes excellent products that I highly recommend! I wouldn't be surprised if he would start his own commercial company some time from now to sell his products, like many others who started off with great free software. But so far, eveerything is free and high-quality, so let's take advantage of it! Of course, you can donate on his site if you like and use his products on a regular basis. This will encourage him to go on. A Rock/metal suite is being prepared for some time early 2014, but the exact date has not been communicated yet. OnQel released version 2.0 of the X50 amp simulator, but it's now a commercial product (50 euros) presented here. 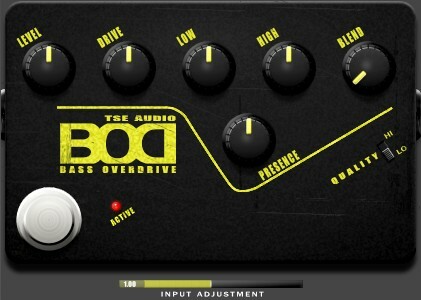 Overdrive stomp pedal for bass: B.O.D. Please note that this problem only happens with X50's 64-bit version. The 32-bit version works perfectly fine in Sonar (in both 32 and 64-bits versions of Sonar). 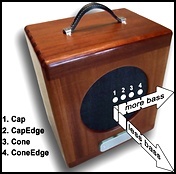 The X50 is based on the Peavey 5150 amplifier. There are two versions of the red channel, in order to reproduce the two existing versions of the original amplifier. You can select the mode from the second screen of the X50. A manual is included is in the zip file. In the Beta 3 version, it s advised to set the "bias" parameter according to the type of tube you wish to emulate. With a 6L6GC tube, set the bias to -51. With an EL34: about -39. With a 6550: about -58. With a KT88: about -50. Of course, you are free to try other values to get the sound you want. This simulator is based on the ENGL ES30 amplifier. 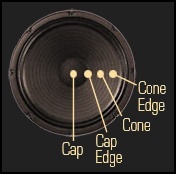 Note that 2 versions of the X30 are provided (Sovtek and Sylvania). They simulate different types of tubes, but the developer himself said the difference is slim. Also note that the demos below were made with the Sovtek version, as are the presets you can download. 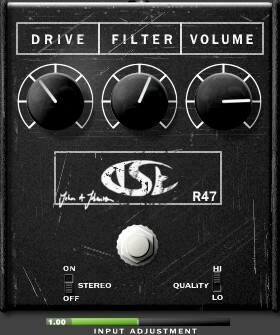 An overdrive stomp pedal for bass. A distortion pedal for guitar, inspired by "The Rat", a late 70s pedal from Pro Co.
An overdrive stomp pedal for guitar, based on the Tube Screamer.